I never asked “why me?” when diagnosed with RA because it’s not my way of thinking. 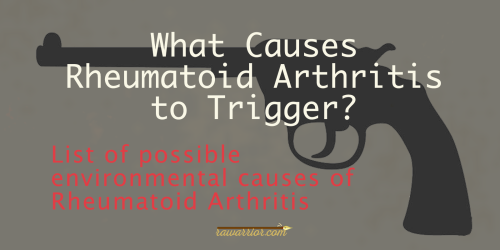 Yet people do ask me “HOW did this happen?” or “What triggers RA?” What causes rheumatoid arthritis – that’s the multi-billion dollar question! Here’s a summary of what is known at this point. There are a lot of studies quoted here, so you may want to bookmark this page for future reference. 1. WHAT happens when Rheumatoid Arthritis begins? Researchers have been puzzled for years about what causes Rheumatoid Arthritis (RA). They’ve found certain areas in genes that seem to be connected with RA. Regions in the genome have been identified which frequently are associated with RA. However, environmental triggers are still considered the necessary missing link. What triggers Rheumatoid Arthritis onset in some? What determines the disease course? This is important in the search for ways the process of RA can be derailed. Some researchers speculate that a type of switch might “turn on” the process of inflammation through citrullination. However, one problem with identifying what triggers this process is that auto-antibodies such as Rheumatoid factor and anti-CCP (ACPA) can appear more than a decade before the arthritis symptoms of RA become obvious. So people may experience the disease before the blood tests can detect it. “A pattern of systemic inflammation is also apparent in pre-RA patients as determined by the multiplex analysis of cytokines in the serum.” They call it “pre-RA” because people are not diagnosed yet, but the RA is already there. Could our DNA be changed by our environment? 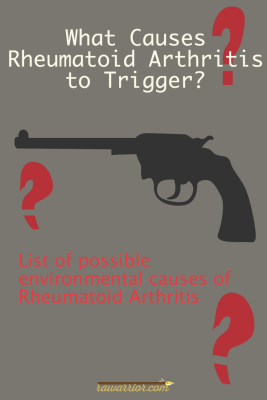 Could that affect whether we develop RA? The “switch” may be an epigenetic mechanism. That’s a change in gene expression caused by a mechanism other than an underlying DNA sequence. The very basic idea is that something in the environment might turn a gene on or off. “The potential roles of epigenetic alterations in the pathogenesis of autoimmune rheumatic diseases are raising great expectations among clinicians and researchers. Epigenetic mechanisms regulate gene expression and are sensitive to external stimuli, bridging the gap between environmental and genetic factors. Considerable evidence of epigenetic changes, particularly altered patterns of DNA methylation, exists in diseases such as systemic lupus erythematosus (SLE) and rheumatoid arthritis,” Nat. Rev. Rheum. What causes Rheumatoid Arthritis to spread through the body? Could it begin in another part of the body and then spread to the joints? Here are 3 areas that have been studied. RA and inflammation in the lungs. RA and the digestive tract: “New insights from DNA sequence-based analyses of gut microbial communities and a renewed interest in mucosal immunology suggest that the microbiome represents an important environmental factor that can influence autoimmune disease manifestation,” Nature Reviews Rheumatology. 3. 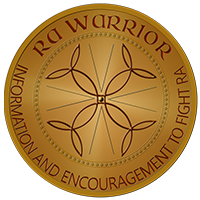 WHAT causes RA to begin? It’s possible that exposures to different substances over years work together to trigger RA in some people. So what causes Rheumatoid Arthritis may not be the same in each person. A combination of factors may be to blame, but here are some triggers that have been investigated. Smoking is specifically linked to RA and citrullination: “This study provides evidence that smoking enhances PAD2 expression in the bronchial mucosal and alveolar compartment, with consequent generation of citrullinated proteins in the latter. Smoking is an environmental factor that may lead to citrulline autoimmunity in genetically susceptible subjects,” NIH. Insecticides are associated with increased risk of Lupus and RA. “Personal insecticide use correlates with increased risk of autoimmune rheumatic disease with stronger associations among those with a greater frequency” of use, as reported at the 2009 ACR meeting. Exposure to traffic pollution brings an increased risk of Rheumatoid Arthritis, even in non-smoking women who are Rheumatoid factor negative. Women in this study lived within 50 meters of a road. Living near an airport is widely reported as associating with RA incidence. Not only does smoking increase risk of RA, more smoking associates with more unrelenting, severe RA, Rheumatoid factor, and higher anti-CCP. Chemicals such as those in hairspray and lipstick are associated. Hair coloring: “Hair dye linked to rheumatoid arthritis,” New Scientist. Men who work with asbestos and mineral dust had a higher hazard risk for RA, as did women in printmaking. As I update this list in 2016, a recent study found textile dust linked to a higher incidence of RA. Great post Kelly! My RA Trigger Story: My RA was initially triggered by a virus or so they thought. I wonder if the fever and joint pain was actually my first flare? Who knows? I am currently 57 and it was in my early forties or around 1994. I came down with a fever, chills and horrible joint pain….They suspected RA but kept going off into “maybe it was a virus” or maybe it is Fibro…they did not want to commit to a life long diagnosis and they were VERY resistant to give me an RA diagnosis…because I was RF negative…. 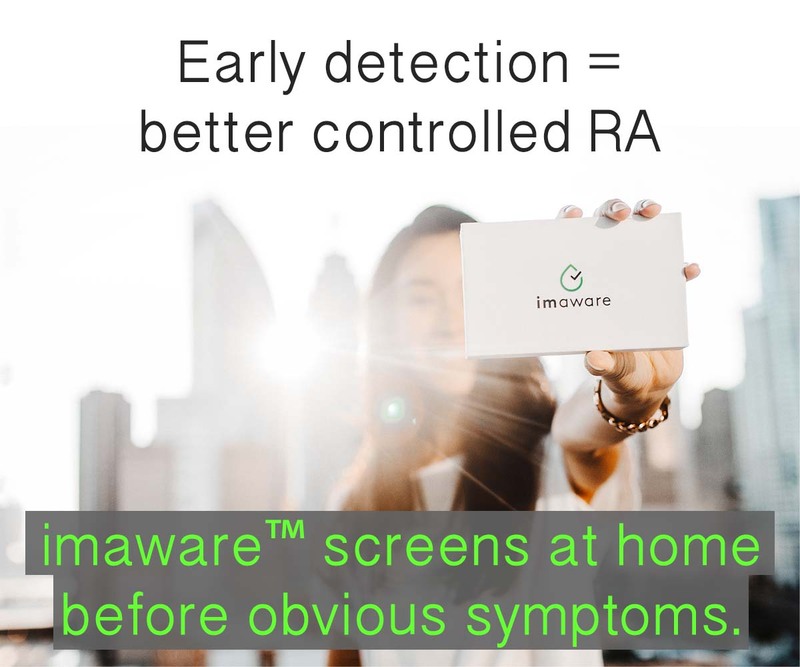 (which we know today does not really matter if you are RF negative or not) But a true diagnosis of RA did not occur until 1999. At that time I was put on Plaquenil for several years and then I was deemed in remission…???? or so they said. So I was told to stop the Plaquenil. I was still in joint pain however and slowly I stopped doing the many active things I used to be able to do and was losing function…it happened so slowly it was insidious…I claimed it must be because I was getting “old”….NOW on the the NEXT RA trigger which flared my RA up worse than ever. It was 2009 and I had a Gall Bladder Surgery. Within weeks of my surgery I had a right shoulder flare which doctors thought was a frozen shoulder until they finally had to open the shoulder to find that I had so much joint inflammation they had to do a “release” to stop the horrible impingement that was caused severe pain. Now that was the second surgery…then my RA went nuts…it seemed like every joint in my body went berserk and the rest is history my RA was up and running. Today I am on Remicade, methotrexate and prednisone…..So my FIRST TRIGGER was a VIRUS and the SECOND trigger was a SURGERY…. Susan, I am a strong believer that RA is triggered by insecticides they are in our foods, and most of our foods have been so genetically modified it is ridiculous. Our bodies are not meant to process this junk. Recently I was diagnosed this past may, and about 2 months ago had an allergic reaction to gluten. I knew it was coming I just did not know when my mother about 7 years ago was diagnosed with it as well. Personally I believe mine was triggered by my hormonal imbalance, Stress, and insecticides. My mother and me are looking to find wheat that is, not genetical modified and growing it with out any chemicals. Auto immune disease runs in my family. Both my father & paternal uncle have type 1 diabetes that developed when they were children. Both my great grandmother & great uncle have severe RA. None of these people smoked. Looking back now I can see early signs of RA in my body. In high school I had constant problems with my knee. I went to see a chiropractor for the problem & was told I would grow out of it eventually. When I was a mom with three young girls I would get shooting pains down my arms. I thought it may have been a calcium deficiency. But now I think it was the sleeping monster RA. I noticed that stress was not listed as a possible trigger on your list. I believe that a combination of having a fourth child & a very stressful situation during my last 3 years of school @ Rivier College are what triggered my RA. The situation was beyond stressful & I was being stalked & felt in fear for my life. There is no doubt in my mind that this is what brought on my RA. Oh my gosh, how do they read all of that gobbledygook in those links? No wonder our doctors can’t relate to us, they’re aliens!!! Seriously, that really shows that their brain operates on a higher level than the common man. Certainly higher than mine. After headache inducing reading of links(and a long nap I wasn’t aware I was going to take), I do have several environmental possibilities that could have pushed me in front of the RA train. I do know what set off my first flare and boy was it a doozy. Started off in my shoulders and worked down my body so I could not walk in five days from onset. My hands were effected the entire time. I had taken my grand daughter to a water park nearby, rode two rides with her and spent the rest of the time floating in an inner tube in a lagoon. Woke up the next morning not able to use arms or hands. After a week, had enough and went to the ER because my doctor couldn’t get me in until the next week. ER doc diagnosed me without doing a RA test, pretty smart guy. Tons of steroids later, I’m kissing his feet!! Telling him if I was young enough to have another child, I would name it after him, heck with that, I will change my 36 year old sons name! Okay,jk. However I did call the ER later that evening to tell them how grateful I was for the wonderful treatment I had received there. Looking back I could recall times where my hands, wrists and feet had bothered me a lot. So I probably had RA for a while before I ticked it off having fun. Again Kelly, the information you bring to us is amazing. Thank you so much for your dedication. While some docs don’t like us to be educated about our illness, the best docs will appreciate it. Thank you, Becky! It’s a lot of work and I appreciate your reading too!! Excellent post! I think mine was genes, but my rheum exploded when my thyroid went south, same as happened to my mother. I have heard that both can go haywire in response to a third trigger, but it’s strange that in two generations it happened exactly the same way. Amazing post. I have many links to read, now. 🙂 I love educating myself and you help me do it so much! I have my suspicions, as we have discussed on a FB post, about my RA and its origins. I have no family history. I was considering my four years of infertility treatment possibly being the “trigger.” I am sure environmental factors also come into play. However, I wonder, due to a post and some conversation, if my daughters’ dna, which isn’t mine, might have something to do with it. They were donor egg, and they were carried to term, and THEY have family history of auto-immune disease. I think for me knowing the trigger isn’t “why me.” I think its more learning as much as I can so I can wrap my head around my new normal. This disease knows me so intimately, I want to know it intimately in return. I want to know all I can about it, so I can understand it, so I can know it and come through it. Also, I think, so I can take away some of the fear involved for me as well. Even the worse news is better than the shadows in the dark. What a wonderful way to say it: “this disease knows me intimately.” I agree about knowledge fighting fear. My husband commented at our first visit with the rheumy that I had been symptomatic according to the ACR Dx for at least 10 years before the highly inflamed fingers/toes sent me in search of an answer. I was Dx at 34. Nightsweats, fatigue, sore joints, stomach upset, asthma, viral symptoms had all been a regular part of my life for years and no one pieced the puzzle together. I had also had 6 surgeries to clean junk out of joints by that time. So interesting. That Dx was 20 years ago. I think it’s more common than not Susan. 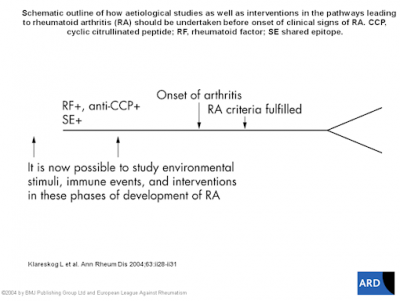 We need to teach the gp’s to identify very early RA. My brother was stricken with RA at age 19. RA is in my family. It hit my mother at around age 55 and her grandmother had it but I do not have details as to her age at the time. I feel genetics play a big role but I have always questioned why my brother was so young. He had been in a couple of major motorcycle accidents prior to the onset of RA and had sustained some major injuries (leg broken in three places). God I wish I knew more. What kind of printmaking?? i was a photographer and film deleloper for many years and mixed chemicals for film processing and developing. i wonder?? My RA is genetic, my mother has it, but what I found most interesting is the connection to insecticides. Working with animals I have been exposed for years. I am curious though, despite my RA I still think I am a gardener and being outside is where I love to be. But living in Texas and the fact Mosquitoes think I am a buffet I would use OFF or a DEET product. I started noticing and recognizing the correlation (this took awhile but) that it makes me sick, run fevers and honestly just wipes me out. Has anyone else ever had this reaction? GREAT INFORMATION- thanks so much for finding it, and sharing- you have become one of my go-to sources of information on this dreaded disease- My best to you! It was getting a tattoo that triggered my RA. It started the next day. My family history does not have RA in it but does have plenty of Thyroid and allergies. However, both of my parents smoked heavily in the home and car. I’m sure heavy exposure to secondhand smoke at an early age has something to do with why I have it. My older sister has Hashimotos and my younger sister has sclerodoma. My mother says she never smoked while pregnant but I don’t believe her. My first symptoms were in my late teens and early twenties but I didn’t go to full blown RA till I had an anaphylactic allergic reaction when I was 39. Thanks for posting your information Joey. I don’t think parents realize that when they smoke at home and car as you mention, especially when it’s two of them – it “counts” as smoke exposure. I wondered about it, but I’ve had several people in scientific research tell me so. I am happy to see that these links are being discussed, because although genetics influence, they do not determine. Also, how about heavy metal poisoning? I have had my amalgam fillings removed, and I feel strongly that they influenced my RA. Really good point. I had mine removed 10 years ago but onset of RA was 2 years ago. One link I have often wondered about is immunisation with Rubella vaccine, as so many women in my age group have RA were we all immunised against Rebella around the age of 11? Could that be a trigger even if it doesn’t hit till 20-30 years later? My Ra was also triggerd after a bout with a virus. My Ra spread quickly within. A couple of weeks I could not walk. My primary doctor suspected Ra from the start. He kept saying I am so sorry but I believe you have Ra. At the time I had no idea what living with Ra meant not only for me but also those close to me. I believe my Mother who suffered with joint pain for years had Ra and went undiagnosed. After I finished Chemo my RA was triggered. Just saying, it happened to me. Turns out that Moffitt does not have a specialist that deals with the effects of RA & chemo. Took my body much longer to be somewhat back to “normal”. By that I mean pre chemo days. That’s very interesting Gale. I have also met people who had RA be much improved after cancer chemo. My daughter, Kacee started showing symptoms at 16 months and within a couple of months she stopped walking. She is now 12 and walking again(JRA). I was wondering if anyone had issues with milk? Kacee stopped drinking milk around the same time as her symptoms started. My family does have autoimmume disorder in its history My father Kacee’s grandfather had MS. I am a smoker and when Kacee started showing symptoms we lived right on a busy intersection.The only thing worse than having RA is to watch a baby suffer from it and not be able to do anything, nor the doctors because she could not handle any of the medications.We had to rely simply on phyiscal thearpy and prayer. Hi Holly, I have heard that removing all dairy products from your diet makes a huge difference to symptoms, why we think drinking the milk of a cow is good for us is beyond me, it is essentially breast milk meant for a different species. My mom had aplastic anemia (I was adopted so I did not inherit my RA from her) for about three years and during this time I would travel 340 miles every weekend to help her and my dad anyway I could. October 29, 2008 I received a phone call from my sister that mom was unresponsive and on her way to the U of U; she passed October 30. My mom was a full time care giver for my dad who had heart problems (three open heart surgeries) and diabetes. I quit my job and left my family to fend for themselves and I took care of my father for a short time; he passed in January 8 of 2009 from a broken heart (yes, it does happen) he died the day my mom did…his body just had not received the memo. I was having marital problems and I became very sick and my feet began to swell and I was unable to walk. I was diagnosed with RA in July of 2009 but like many others, I had signs for years of my diseases.I WAS a smoker for twenty years and proud to say that I am a non-smoker for a year. Shauna, congratulations on quitting. And I’m sorry you have been through so much with losing both parents in the last couple years. That kind of stress like you must have gone through is also a “trigger” that some have reported for RA timing. Pregnancy is a good point Susan. It has not been shown to be a trigger or cause of RA. However, during the period immediately following childbirth, diagnosis of RA is more common. It’s almost like it was inevitable, but the timing is affected by post-partum situation – a lot has been conjectured about the changes that occur in the immune system of a woman while pregnant so that her body won’t reject the baby. It’s important to see that pregnancy/childbirth in and of itself is not a risk factor – just like smoking – it does not trigger RA in those who do not have the genetic tendency to have RA. I have read a lot of these studies and the biggest problem is that they do not track pre-patients. By which I mean you have an RA patient then look at their life and then make assumptions as to what are risk factors. This is extremely frustrating as I so often get these risk factors read back at me as if I chose to do soemhting to put me at risk. My vit D levels have always been good. I was actually at the best point in my life and not stressed. I also know that there is a good 1/3 of patients who develove sudden accute onset, like myself. My first tests for RA were negative, second slightly elevated, third 3 times normal (that was my Dx point) and fourth 3 times. First three were done within weeks the last a year. My joint eformity is also caught as a progression purely of the RA as my trigger event was an slight fall and I got an xray of my wrists that week. I am also not surprised that there is a proportion not Rf positive. Rf is an autoantibody. It is not supposed to be there. This is a tiny “key” that locks into a tiny part of a very complex protein. And then when you look at the whole synovium you can see there must be more locks and thus more keys that are not tested for. Less common for sure. Back to that rogue autoantibody. These are not that uncommon. Antibodies are randomly created in huge numbers, some of those random creations happen to fit random locks on your own tissue. However self antibodies are mopped up by the immune system before they reach the rest of the body (special organ just for this). So there is likely to be an issue at this point. Especially given the large numbers of people with AIs. And multiple AIs. Oh yes. I studied autoimmune disease and RA at university. Somethings stick in your mind when you realise you could be a patient study for soemthing you already stuied. I find this piece very informative…having to reread the medical parts twice…but interested in this disease because my mother had the very very very severe form. I worry that I have a risk for getting it..but I don’t smoke..and she was a heavy smoker for at least 40 years. She was not diagnosed with RA til she was 70. She died at age 80 ..in a wheelchair in a skilled nursing home. She fell and had four ministrokes and had pneumonia many times in the home. Her immune system was very compromised due to the devasting RA that grabbed her whole body…everywhere. She couldn’t walk..she couldnt comb her hair..hold her coffee cup ..dress herself…etc etc. Severe joint erosion. Lynne, I think we’ve discussed getting an anti-CCP test. I guess you could think about genetic testing too if the anti-CCP is negative – as far as my own kids – with my strong family history of RA – I’m hoping they avoid the things on this list especially smoking, of course. I grew up around a lot of smoke but we know more now – of course neither of our parents knew it could cause this. Thanks for posting Lynne since I know it helps others to have a more complete picture of what can happen. I’m a bit skeptical about the concept of a single environmental trigger – i.e., fewer people smoke in each generation, but the incidence of RA is growing??? I do believe that we are seeing cumulative affects of toying with our foods for generations – more autism, more autoimmune disease, earlier puberty, etc. science knows exactly what to do with it yet, since the disease is still not well understood. Nonetheless, thank you for another great post Kelly. Great food for thought. Definitely a major change in circumstances. My Mom’s R/A started when my twin brother died shortly after birth, mine started shortly after her death – definitely hereditary, a dear friend was diagnosed shortly after his daughter committed suicide. Huge stress and a hereditary. I was dx as a kid. It started for me with inflammation in my eyes. I got an infection in my left eye (could have been anything, we lived on a farm). I needed cataract surgery soon after for a suddenly formed cataract. Dr’s had never seen anything like it. After the surgery I had full blown inflammation in both my eyes. The dr’s thought I would lose most of my sight and / or go totally blind (only happened in one eye). They put me on prednisone for 18 mo. to stop the inflammation. No one knew what was going on, even the specialists a the Milwaukee Eye Institute. When I went off prednisone, fairly abruptly (1978, they didn’t know as much about tapering), I started getting joint symptoms that would come and go. Stiff and swollen finger here, a toe there. Dr’s didn’t know what it was. Eye inflammation continued. One day I woke up and hurt in every joint, all of them swollen and red, full blown flare (age 10). I was dx tentatively with days by the pediatrician who had to look it up in a thick medical reference book. Had dx confirmed at Milwaukee Childrens’ Hospital by a pediatric rheumatologist. My dx seems to be genetic predisposition, triggered by an infection / surgery. Living near an airport is widely reported as associating with RA incidence — That sounds like the link between telephone poles and cancer! My RA seemed to be triggered by cancer treatment. I had finished radiation and Chemo treatment when I developed a very bad case of pneumonia. While recovering from this lung inflamation,I developed ahouldeer pain which eventually was diagnosed as RA. My daughter has RA and neither her father or myself, nor any member of our families has it. It came on to her about 4 years ago. The Drs. started her on steriods and chemo and other deadly drugs. Naturally she lost her hair and was deadly ill for the past few years. She has always been a very healthy person, never sick a day in her life, with the exception of the birth of her children. How could she have gotten this disease? My sudden onset of RA a year ago was triggered when I had a reaction to the flu shot, sending me to the hospital with a soaring blood pressure. I fell terribly ill that day and never got well again. Bloodwork and high anti-CCP antibodies confirmed the diagnosis months later, last April. However, with time to reflect, I wonder if that was the true onset or just a sudden worsening of the RA I didn’t know I had. A decade earlier, I had visited a rheumatologist because of swollen and painful joints in my hands and wrists. I had been sick several weeks earlier, coming down with a virus I had caught from my granddaughter, and afterwards my hands and wrists were swollen, first on one side and then on another. My blood tests were negative, and the rheumatologist told me she thought it could be a transitory reaction to the illness. She probably told me to come back if I had further problems, but since I thought the tests had cleared me of any possibility of RA, I probably ignored further problems. I remember telling my husband a couple of years ago that I felt “broken” somehow, though. Despite being an avid exerciser in many forms: walking/jogging, mountain biking, kayaking and weight lifting, I can remember days when I would wake and just not be able to get myself going at all, just wanting to sleep all day. I was approaching 60 at the time and thought it was just the natural slowing to be expected as I aged. Joints hurt, but I ignored them. I was getting older and I exercised avidly and could expect them, I thought. I’d been told, I thought, that I didn’t have RA. I recently dug out my receipt from that decade-ago visit to a rheumatologist, and it was coded “inflammatory arthritis.” So, was the onset a year ago, or was it a decade ago after I fell ill with a virus? I have to add, too, that I feel comfortable writing this only because I’ve had the same insurance during all that time. These days, I would be afraid to commit this in writing in a public forum if I hadn’t. I quit smoking and was using nicotine patches, have always wondered if there was a link. I live near an airport also. I also have Aunts on my mothers side with RA. Interestingly, I tested negative in my late 20s for the factor and then positive in mid forties, so something did trigger it. I think it was stress. Great article Kelly – “thetackroom” here -made me think – if Dr. would have all patients fill out a “detailed health history” and do some critical blood work ie Vit. D etc and be required to send in to data base they might find a corrilation. I dont feel there is any cooperation between the Dr. and the researchers. I had to ask Dr to check CRP – which is off the chart/ request to check my Vit. D which was crit. low others came in below norm. but what happens to that information????? I know for years I had something going on but the cyst that Drs. disregarded ruptured internally and im sure thats what sent me over the edge. I have always felt my trigger was a virus. My two children were small and contracted Fifth Disease (it’s a common childhood disease which is often overlooked because of milder symptoms than measles, mumps, chickem pox, etc…. look it up.) My kids had high fevers and bright red cheeks which lasted and reflared with exertion for several days after the original onset. They also had some achy joints. I never noticed any symptoms of Fifth Disease in myself, but a few weeks after the kids where sick, I developed a migratory type arthritis. My symptoms included severe pain that lasted 1-2 days in a single joint at a time. It would then move to another joint which would have severe pain for 1-2 days, and so it went. This lasted for about 6 months, and then it eventually faded away. I went to a Rheumatologist, and my bloodwork was negative through all of this pain, even my sed rate was low, which was odd given my swollen, red joints were visually obvious. For years afterward, I guarded my joints during activities, because they tended to ache if I put too much stress on them. I continued to be very active and healthy. …Fast forward 18 years… just before my 51st birthday last year, I decided to see an Internist, and I chose a young one! I had always used my OB/GYN for annual physicals, but after I turned 50, I decided I needed a personal physician as I aged and not a doctor who would retire just as I was getting older and really needed them. I told her I had been having some GI upset and my joints were achy. She noted my knuckles and ran some tests, RF and antiCCP where elevated this time. It was almost like I timed my appointment perfectly. I didn’t really see this MD to address my joints, but as it turned out, the mild to moderate joint pain I was having turned into the mother of all flares shortly after my appointment. The rheumatologist I was referred to has been great. I was taperd up to 20 mg of methotrexate once a week, and i mg of folic acid. It took 8-10 weeks at the 20 mg level of methotrexate to shut my flare down. I take my methotrexate dose on a full stomach just before bedtime so that I can weather through the worst of the nausea as I sleep. I suffer some the next day, so I schedule little on that day, and then I feel pretty well the rest of the week. It’s been one year since my diagnosis, I can say I’m doing pretty well. I am hoping to keep my joint destruction to a minimum, and I am staying active. I am most interested in research of common factors among those of us who have this disease. I have no family history, but I am concerned for my children’s futures. Hi Beth, we do have some posts here about genetics & RA. You can look through the list of titles at the bottom of the page or use the search box at the top. I’m glad to hear your treatment is working pretty well for you. Beth, my RA, which is genetic, but was triggered directly and immediately from Fifth’s disease (Human Parvo virus) in 1999. My grandaughter came home with it from daycare, I was 42 at the time. Before that, I was working 2 jobs as an RN, never sick in my life for more than a day or 2 at a time! When it hit me, I had a temp. of 106 degrees that night and my entire body was swollen by the next afternoon, my family doctor thought I had Rheumatic Fever, I was transfered to a University hospital for further testing, was unable to even tolerate a blanket to cover me (this was in December), my entire body ached as if I had fallen down a cliff head over foot! I continued to fun fever for several months and never got any relief from the pain, required a wheelchair for any mobility! It was horrible! Finally I was diagnosed with RA, got the proper treatment, I am currently on Cimzia, Plaquenil, Prednisone, Cymbalta, pain meds prn, and was recently diagnosed with Collagenos Collotis, which is an auto-immune colon disease directly related to Chron’s, I am praying it don’t develop into that! So, I can totally relate to your story! My great-grandmother, grandmother, mother, brother, sister and myself have RA in my family. So there is a strong gene. And my oldest daughter has recently started having pain in her hands, pray that she does not have it, she is 37, we all were attacked at 42!!!!! Thanks for listening! There seems to be “tipping point” some level of various factors and genetic susceptibility that once you reach you develop RA. Pregnancy, illness, genes, stress, enviromental factors all contribute to this. I think of it as like a slot machine, many combinations unfortunately get you the jackpot of RA. Please read “The Road Back” by Thomas Brown, M.D. I find doc. Brown’s research and treatment the most reasonable. I have been with RA for fourteen years. My husband has RA and I am curious to find out more about sulfer dioxide. He worked at a plant and was exposed to that and many other chemicals daily. H2s also. However his mom died of ALS. My RA started as a direct result of contracting Human Parvo Virus! I have the genetic predisposition, but the virus definetly brought on the RA. I saw an Infectious Disease Specialist and Rheumatologist, with both telling me the same thing! Hope this may help with your research. Great post and info! 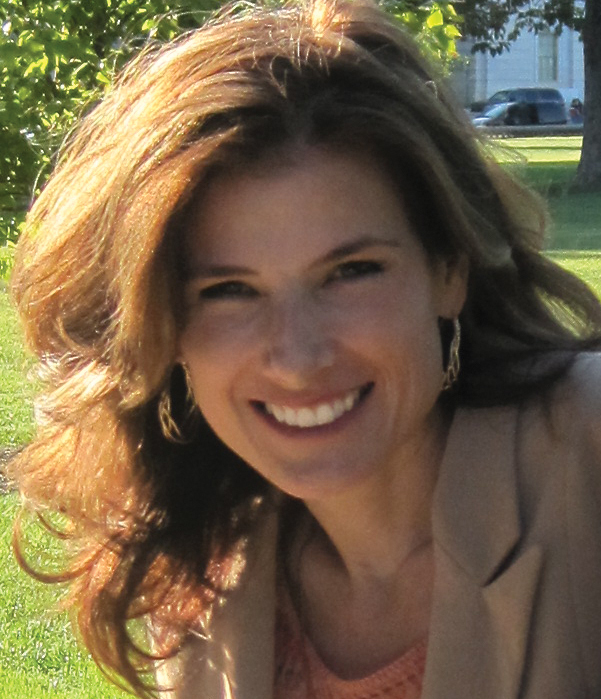 After my last pregnancy I had untreated hypothyroidism, later Hashimoto Disease and untreated Celiac for many years. I think not catching those two diseases led me to develop RA. I think for me insecticides has something to do with it too. I can tell if I am not eating something organic, my mouth will start to burn. Crazy, but true. Before being sick I never had allergies, and now I do. I had read before about the hair dye, I try to keep it at 3 months. I don’t want to give up dying my hair. LOL. This makes sense, however I have never smoked, have not lived near a road, have never been a girly girl so use of lipstick and hairspray for me has been minimal, but I did dye my hair many times and also I lived in Singapore for 7 years where the flat was regularly fumigated for cockroaches where they sprayed huge amounts and we went back into the block of flats a short time after they were finished. I have been smoking since i was 17. Now i wonder did i bring r/a on myself. But when your young do not think of these things, My daughter smokes to.I will be showing her this. Try not to feel bad about it, Maureen. There’s no way to know for sure what would have happened. You have to also have the genetic makeup – not every smoker gets RA. But some studies do show your RA could still be milder or more responsive to treatments if you stop, so it’s something to think about. Good luck. I think the Swine flu triggered mine. I started going down hill very slowly after that. It took two years to the date almost to get diagnosed. Did anyone else have the swine flu and then get diagnosed within two years after having it? Of course, I never have gotten the flu since then. It has been said that once you have had a super flu, you don’t get the smaller flu’s. I was diagnosed in 1981 when I was 24. I was working very long hours, 7 days a week so was permanently tired but my symptoms started with a swollen ankle which then became painful. I had broken that ankle when I was 12. I went to the doctor who thought I must have sprained it without realising. Over the coming weeks the pain and inflammation spread to every joint in my body. I went back to the doctor who did blood tests which did not show anything abnormal. After about 6 weeks of extreme pain without a cause being found I thought I was imagining it but when I saw a rheumatologist after insisting on a referral to a specialist I was diagnosed with RA. I did take part in some research a few years later and they found I have a gene which makes me predisposed to RA and I had antibodies to Parvovirus. This research suggested that the Parvovirus was a trigger and if you had the gene you got RA and were stuck with it but if you didn’t have the gene then you got RA for a while and then it went away. DAMP COLD WEATHER, HOT HUMID WEATHER TRIGGER MOST ATTACKS/DENTAL APPT. ARE USUALLY A PROBLEM. Kelly, I have just discovered how valuable this newsletter is for me. It somehow makes me feel better that someone else feels just like I do. I can relate to everything on this site. One thing that bothers me is, that everyone wants me to try and be more active. I don’t want to be active. I feel too bad to be active. Yet, I’d love to be active, it’s just that I find it so difficult. Tonight, I am scheduled to go out to dinner with a friend and I am dreading it. The most difficult thing I have to do each day, it to take a shower. I never schedule any appts. before 1pm because I can’t get ready before then. Sometimes, I close my eyes and wish that I would just fall asleep and not wake up (don’t worry, I am not really suicidal). I was diagnosed with RA a couple of months ago after the birth of my third child. I also have hypothyroidism. I’m taking methotrexate and it’s helping somewhat, although I can’t help but try to identify what triggered the onset of RA. My chiropractor believes leaky gut syndrome may play a role in RA. I just took an intestinal permeability test and am waiting for the results. The journal articles I’ve found online about the link between intestinal permeability and autoimmune diseases are interesting. I’m wondering if anyone has any experience/past treatment for intestinal permeability and whether it has improved their RA. Thanks for your help! @linda, WoW all at once ! It’s no wonder your challenges would surface. I’m so sorry ! I hope you are doing better ! 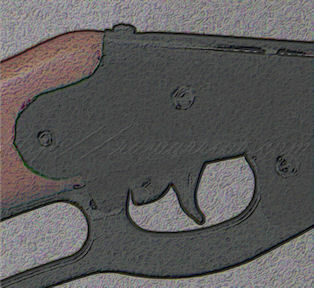 My trigger could be anything from automotive paints, spray paints, industrial chemicals, metal dusts, wood dusts or simply stress as a final trigger. Looking back I have likely had symptoms for 15-20 years and just assumed they were all related to the activites that exposed me to the above listed triggers. Interesting – keep up the research! Diagnosed with Fibromyalgia 7 years before R.A. which actually hit at 50. About the time I started loosing estrogen is when the Fibromyalgia started. Had previous back injury so thought a lot of the muscle pain may have been triggered by that. L5 S1 – have lost disc space. Went on estrogen at 48 to combat hot flashes. Decided I wanted off Premarian dispite fights about it with Primary. My bones were fine & kept hearing you should not be on Premarian for too long. Met a lady that said she got a stroke from it. Thats it I thought to myself, enough of this massive estrogen experiment on women. Tapered myself off slowly, or so I thought. 2 weeks after completely off with no signs of hot flashes I was pretty happy. Then …. my ankles & feet started swelling. Have done testing, cytomeglavirus & Epstien barr virus in my system. Now in immune suppression with methotrexate & Humira – the cyto-virus occasionally comes out on upper back of leg, take a few Valacyclovir tablets for a few days. Rash stops spreading, goes away completely in about 6 days. Have been exposed to pollution living in L.A., CA at one time. In Phx.AZ now, still too much traffic, pollution. Have had my share of stress. Any research into this appreciated. Never have had a rhuematoid factor. Was told I did have related genes. Only one distant cousin has this on my Mom’s side of family. Could the sudden drop in the horse pee – known as Premarin, have caused this? Was the Fibromyalgia & hot flashes my body’s own slow response to dealing with the situation & actually a normal needed process? Did the drug companies help to cause it? Now the drug companies really making some $ here treating R.A. but not curing. Read in a scientific journal they had a extremely promising drug that appeared to be able to destroy the Herpes or cytomeglavirus but stopped working on it as they were making more $ on selling the meds to constantly control it. Research is needed. Cause & cure. However am thankful for the control! Thank heavens for bio-modifiers. Looking at me, most do not know I have severe R.A. We can go to the ends of the Solar system – find new planets, get into particle physics to understand that, yet, we don’t know or understand our own bodies? Our own immune system. With a background in engineering & science myself, I say, we CAN do much better. Let’s do it!